In response to growing pressure to comprehensively fix the U.S. education system, Congress may again consider the Student Success Act (H.R. 5), a reauthorization of the Elementary and Secondary Education Act of 1965 (ESEA). As with the former reauthorization of ESEA in 2001 (famously known as the “No Child Left Behind Act” or “NCLB”), H.R. 5 maintains the high involvement of the federal government in education that has been in place for several decades. Nevertheless, H.R. 5 includes critically important exemptions for home, religious, and private schools, and would protect them from burdensome requirements in the law. It is important to note that families who use government-funded virtual public school programs may not benefit from these exemptions. HSLDA believes that under the U.S. Constitution, decisions about education should be left to state and local governments, not the federal government. However, HSLDA exists to protect and defend homeschool freedom. Because H.R. 5 contains provisions that both protect that freedom of homeschoolers and reduce federal overreach into public education, HSLDA is neutral on this legislation as a whole. We do support several sections of the proposed law, which we outline below. It is important to remember that if Congress does not pass a reauthorization of ESEA, then No Child Left Behind will remain the law of the land. The U.S. Department of Education (DOE) will still be able to use federal NCLB waivers to unilaterally decide educational policy. The longer NCLB waivers become an established tool for federal DOE overreach, the harder it will be for state and local school districts to act independently of DOE oversight. If ESEA is reauthorized, the federal government will no longer be allowed to use NCLB waivers, and its ability to pressure the states into adopting education mandates like the Common Core will be virtually eliminated. Section 9506 of NCLB (20 U.S.C. 7886)—preserved as Section 6506 (page 570) in H.R. 5—exempts all schools that do not receive federal funding from its requirements. Homeschools (along with many private and religious schools) use this provision to shield themselves from government overreach. HSLDA helped craft this powerful provision in 2001, and has successfully used it to defeat attempts to regulate homeschooling. Section 9506 protects millions of students from experiencing unnecessary and counter-productive federal education regulations. Nothing in this Act shall be construed to affect a home school, whether or not a home school is treated as a home school or a private school under State law, nor shall any student schooled at home be required to participate in any assessment referenced in this Act. H.R. 5 also includes Section 9530 of NCLB (20 U.S.C. 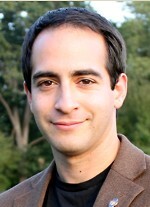 § 7910)—preserved as Section 6524 (page 550) in the Student Success Act. HSLDA believes that federal teacher training and certification mandates would hinder parents’ ability to make educational choices for their children. Thankfully, this section outlaws national certification processes for educators, and preserves educational freedom at the state and district levels. Notwithstanding any other provision of this chapter or any other provision of law, no funds available to the Department or otherwise available under this chapter may be used for any purpose relating to a mandatory nationwide test or certification of teachers or education paraprofessionals, including any planning, development, implementation, or administration of such test or certification. The Secretary is prohibited from withholding funds from any State educational agency or local educational agency if the State educational agency or local educational agency fails to adopt a specific method of teacher or paraprofessional certification. The preservation of NCLB’s section 9531 (20 U.S.C. § 7911) prohibits storing students’ personally identifiable information in national databases. With the increasing popularity of statewide longitudinal databases, these protections are needed to protect student privacy. Nothing in this chapter […] shall be construed to authorize the development of a nationwide database of personally identifiable information on individuals involved in studies or other collections of data under this chapter. HSLDA supports the language found throughout the Student Success Act that eliminates the federal government’s ability to incentivize states to adopt the Common Core State Standards (CCSS). Several sections of the Student Success Act prohibit the use of federal funding to influence or coerce states into adopting federal mandates in the areas of curriculum, standards, or testing in schools. Section 6521 (page 546) prevents the DOE and its employees from using federal funds or agreements to incentivize states into adopting CCSS standards, assessments, or curricula. SEC. 6521 PROHIBITION AGAINST FEDERAL MANDATES, DIRECTION, OR CONTROL. (a) IN GENERAL.—No officer or employee of the Federal Government shall, directly or indirectly, through grants, contracts, or other cooperative agreements, mandate, direct, incentivize, or control a State, local educational agency, or school’s specific instructional content, academic standards and assessments, curricula, or program of instruction, (including any requirement, direction, incentive, or mandate to adopt the Common Core State Standards developed under the Common Core State Standards Initiative or any other academic standards common to a significant number of States), nor shall anything in this Act be construed to authorize such officer or employee to do so. (b) FINANCIAL SUPPORT.—No officer or employee of the Federal Government shall, directly or indirectly, through grants, contracts, or other cooperative agreements, make financial support available in a manner that is conditioned upon a State, local educational agency, or school’s adoption of specific instructional content, academic standards and assessments, curriculum, or program of instruction, (including any requirement, direction, or mandate to adopt the Common Core State Standards developed under the Common Core State Standards Initiative, any other academic standards common to a significant number of States, or any assessment, instructional content, or curriculum aligned to such standards), even if such requirements are specified in an Act other than this Act, nor shall anything in this Act be construed to authorize such officer or employee to do so. HSLDA is concerned that the creation of a uniform system of education via the Common Core will create a de facto national curriculum. The pressure to align curricula to these new standards would threaten state sovereignty in education. Section 6522 (page 547) prevents the DOE and its employees and agencies from using federal funds to promote, approve, or develop state curricula or content standards. SEC. 6522. PROHIBITIONS ON FEDERAL GOVERNMENT AND USE OF FEDERAL FUNDS. (a) General Prohibition.—Nothing in this Act shall be construed to authorize an officer or employee of the Federal Government directly or indirectly, whether through a grant, contract, or cooperative agreement, to mandate, direct, or control a State, local educational agency, or school’s curriculum, program of instruction, or allocation of State or local resources, or mandate a State or any subdivision thereof to spend any funds or incur any costs not paid for under this Act. (b) Prohibition On Endorsement Of Curriculum.—Notwithstanding any other prohibition of Federal law, no funds provided to the Department under this Act may be used by the Department directly or indirectly—whether through a grant, contract, or cooperative agreement—to endorse, approve, develop, require, or sanction any curriculum, including any curriculum aligned to the Common Core State Standards developed under the Common Core State Standards Initiative or any other academic standards common to a significant number of States, designed to be used in an elementary school or secondary school. (d) Prohibition On Requiring Federal Approval Or Certification Of Standards.—Notwithstanding any other provision of Federal law, no State shall be required to have academic standards approved or certified by the Federal Government, in order to receive assistance under this Act. (e) Rule Of Construction On Building Standards.—Nothing in this Act shall be construed to mandate national school building standards for a State, local educational agency, or school. Section 6523 (page 549) prohibits the federal government from developing, administering, or distributing a federally sponsored test in any subject. SEC. 6523. PROHIBITION ON FEDERALLY SPONSORED TESTING. (a) GENERAL PROHIBITION.—Notwithstanding any other provision of Federal law and except as provided in subsection (b), no funds provided under this Act to the Secretary or to the recipient of any award may be used to develop, pilot test, field test, implement, administer, or distribute any federally sponsored national test or testing materials in reading, mathematics, or any other subject, unless specifically and explicitly authorized by law. (b) EXCEPTIONS.—Subsection (a) shall not apply to international comparative assessments developed under the authority of section 153(a)(5) of the Education Sciences Reform Act of 2002 and administered to only a representative sample of pupils in the United States and in foreign nations. 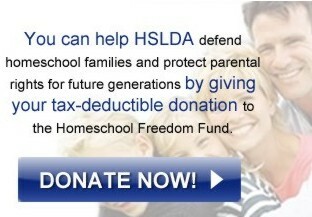 HSLDA’s mission is to protect the freedom of homeschool families across the nation. The sections of the Student Success Act that we listed above will protect homeschool freedom, and will cut back the federal government’s ability to coerce or incentivize states into adopting the Common Core, Common Core–aligned assessments, and other federal educational initiatives. HSLDA’s letter of support to Chairman Kline for several provisions in HR 5. House Education and Workforce Committee: “What if Congress Doesn’t Replace NCLB?” part 1 and part 2. For more information on the Common Core and data collection measures, visit HSLDA’s Common Core issues page.